Located on 453 acres with 773 individually owned 2-4 bedroom, single-family homes, the community is accented by abundant wildlife and beautiful golf course views. Send me more information about Indian River Colony Club! Golf and Social Memberships are also available to non-residents. A Florida Not-for-Profit Corporation, IRCC is owned by its members, administered by a professional general manager, and governed by the community-elected resident board of directors. All amenities, corporate buildings, and grounds are debt free with significant monetary reserves. There have been no monetary assessments in its 30+ year history. Send me more information about Indian River Colony Club! Heading a roster of standout amenities at Indian River Colony Club is a perfectly manicured Gordon Lewis-designed course. The course cuts its way through scenic lakes and tall trees making strategy and accuracy more rewarding than pure strength. The beautiful 18-hole, par-72, private golf course has plenty of practice facilities to bring out the best in your game. In addition to an aqua driving range, there are two putting greens and practice bunkers. You’ll be playing golf on a rewarding landscape tucked among natural preserves, lakefront and golf course homes. It’s novice-to-pro golf every day. Men’s and ladies’ associations with separate leagues will keep you playing, plus there are numerous opportunities to play in couples and mixed formats every week. Visit the community on its low-cost Getaway Package for only $99. Stay for 3 days/2 nights, play golf and tennis, have dinner with a gracious resident host and more. (Transportation not included.) See all the details below. Send me more information about Indian River Colony Club! The community features a variety of single-family home living options with 18 floor plans from which to choose. Homesites offer lakefront, golf course and preserve views while homes are updated and in turnkey condition. See the real estate section below for details and pricing. 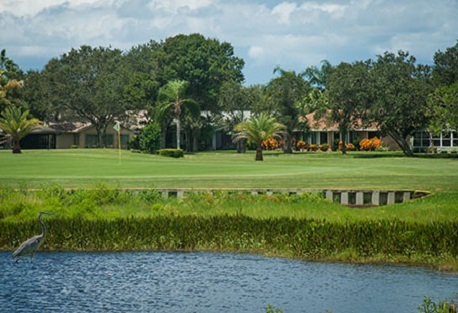 Indian River Colony Club offers 2-4 BR individually owned homes set on 453 acres with golf course, 28 lakes, and preserve views where wildlife still abounds, creating golf and water views throughout the community. Send me more information about Indian River Colony Club! IRCC members benefit from a generous maintenance program that includes on-site professional maintenance that provides interior and exterior care. Covered items include the repair or replacement of your roof, HVAC and all major appliances. For those that wish to continue employment or to continue education, there are enormous education and employment opportunities, including many high tech industries on the Space Coast. Send me more information about Indian River Colony Club! 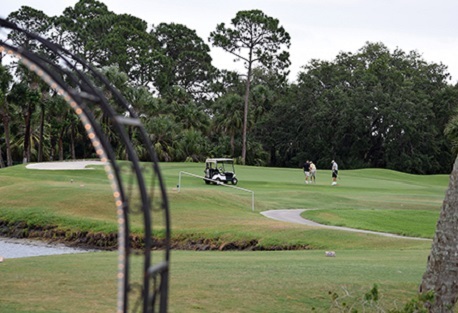 Indian River Colony Club, Melbourne-Viera, FL is now offering its Getaway Package for only $99, per person, for 3 days/2 nights, so that you can see for yourself all the advantages of living here. Your package includes lodging at a local hotel, a round of golf, tennis on the Har-Tru tennis courts, dinner in the At Ease Club with a resident couple and a private community tour with an IRCC realtor. Transportation is not included. Send me more information about Indian River Colony Club! Indian River Colony Club, Melbourne-Viera FL invites interested property buyers to consider visits to the community that includes a personal tour hosted by an IRCC resident. Your well-informed guide will show and describe this private golf community on 453 acres, including its 2BR to 4BR individually owned homes, country-club living, first-class amenities and generous maintenance program. This familiarization opportunity is designed as a 3 day/2 night visit that includes golf, tennis and dinner with your resident host/hostess, plus the guided tour. Send me more information about this IRCC visit!